All season long, the Northfield gymnastics team has been in search of its goal score of 150—on Friday night in the state Class AA championship meet, the Raiders got it when they needed it the most. In scoring a 150.4 on the floor of the University of Minnesota Sports Pavilion, Northfield edged runner-up Roseville by just three-tenths of a point to claim its second-straight state title. If you want to start practicing at home here are some best gymnastics mats for home. 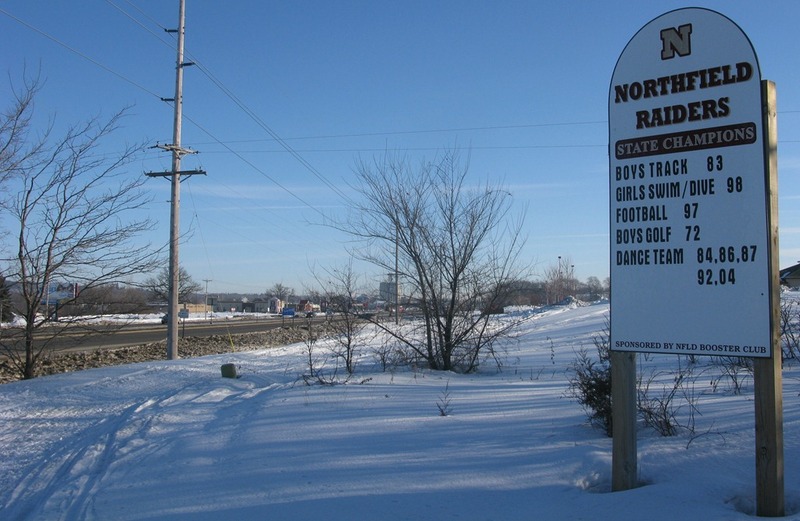 Looks like the Northfield Booster Club is going to have to update its sign on the south edge of town that lists Northfield Raiders state champions. A new champion prevailed in Class AA. Northfield emerged out of a tight pack to bring home its first title with a score of 148.325. The Raiders were in third place going into the final rotation – behind Lakeville North and Cambridge-Isanti – but recorded a meet-high 37.925 on vault to pull away with the title. The Raiders also scored the meet’s highest score on beam, with a 37.175. On floor and bars, Northfield scored a 36.625 and 36.6, respectively. Meaghan Howell led the team on vault, 9.7, and floor, 9.475. Sveta Mason recorded the team’s highest score on beam, with a 9.55, and on bars, with a 9.475. Four of the Raiders will return to compete in Individual finals on Saturday.